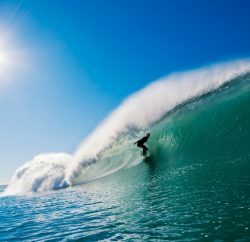 As an artistic community, the creative spirit flows from the canyon to the coast. 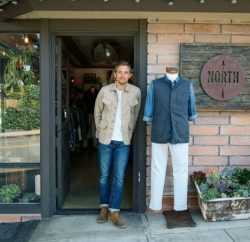 It’s imbued in almost every facet of Laguna life—and fashion is no exception. From made-to-order hats to leather sandals, no two pieces of locally crafted, artisanal accessories are alike, which offers an opportunity to flip the traditional approach to styling an outfit on its head. Instead of using accessories as finishing touches, stylists suggest myriad ways to start with Laguna’s artistic hats, jewelry or footwear as a focal point, then add fashionable apparel for a runway-inspired fall look that’s all your own. When it comes to statement accessories, handcrafted hats are one opportunity for fashionistas to express their inner artists. It’s important to keep in mind, however, that the material alone can alter the feel of an entire outfit. “With a fabric hat, you’ll want to keep a minimalist look—you don’t want to be wearing this fabulous hat but then your clothes are competing, whether that’s too much pattern or too much going on in terms of styling,” says personal shopper and stylist Lori Gladstone. The two most well-known milliners in town, Edith Otto and Paula Del Percio, use a wildly diverse assortment of materials. From her design studio in the canyon, Edith creates an ever-expanding selection featuring fabrics like hand-dyed velvet, tapestry materials, felt and more. Meanwhile, over at The Hat Box on South Coast Highway, Paula has offerings with chic, customizable accouterments, like a vibrant yellow, wide-brimmed straw hat adorned with black-and-white ribbon or a slimmer, hunter-green fur felt option decorated with feathers. Various celebrities have taken advantage of the numerous materials and colors available, in addition to the assortment of trimmings—some of which are vintage—such as ribbons, leaves, flowers and feathers. Though there are many fabrics and fits to choose from, local fashion stylist and closet curator Leslie Christen suggests that a straw style reflects the city’s coastal vibe while pairing well with current trends. Whether you choose a ready-to-wear or personalized piece, it’s easy to find the right apparel to match: The pinched sides and flexible brims of Panama hats will go with nearly any type of silhouette. To keep your hat the star of the outfit, however, go for a fitted silhouette, such as a sleeveless dress in a darker hue that evokes feelings of fall. Also allow simple embellishments on the garment—fabric knotting and ruching, for example—to create intrigue so the focus remains on the hat. For a more bohemian aesthetic, Leslie suggests opting for a floppy, wide-brimmed felt hat, also available at The Hat Box; the heavier fabric works well for when the weather turns crisp. To highlight the hat best, her recommendation is to don a long floral dress and sandals. Longtime Festival of Arts exhibitors Luciano Bortone and Don Beres are just two Laguna artisans whose jewelry acts as wearable art. While Italian-born Luciano is known for his stone-cutting expertise and offers gems fixed with silver and gold in earrings, rings and bracelets, Don is influenced by the beauty of rough stone. But both are especially recognized for their work with opal—a fitting artistic inspiration, given that it was considered by the Romans to be the most precious and powerful, according to the Gemological Institute of America archives. A plain black shirtdress is a great canvas for showcasing the stone’s brilliant spectrum, as is a head-to-toe winter white look. “[You can also] select colors you see in the opal to make them pop even more or wear something totally contrasting for a fun look,” Leslie says. One of her top suggestions is an oxblood dress in a classic or bohemian style. Army green—another on-trend color for fall—also plays off the colors found in opals; it matches particularly well when the stones are set in gold, Lori suggests. Try an 18-karat gold piece from Don, such as a chunky bracelet with overlapping lines of opal and diamond. One style of flat sandals that works extremely well as a statement piece is the strappy variety—a few detailed design elements can elevate this closet staple from afterthought to focal point. 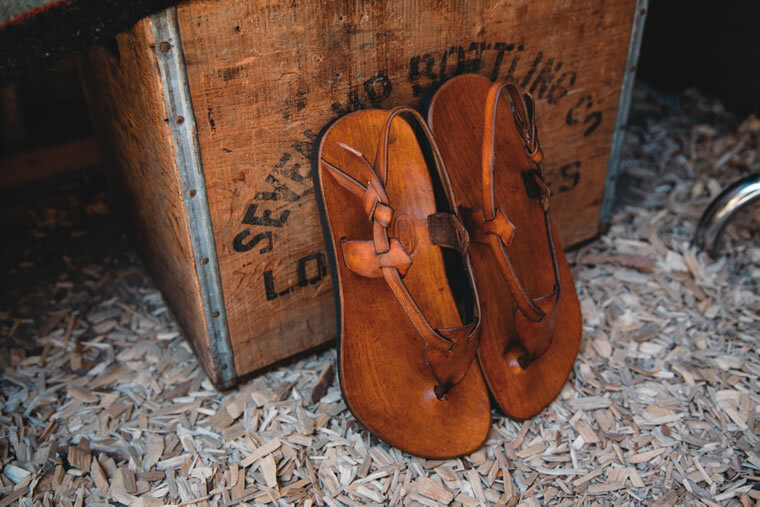 Sawdust Art Festival artisan Bob Foster crafts footwear that fits into this trend, using details like braided straps, crisscrossing layers and intricate knots. “What’s wonderful about Bob Foster’s designs is that they will only get better with age—take care of them and they will love you back,” Leslie says. While we’re still enjoying the lingering heat of summer, Lori recommends pairing leather sandals featuring wraparound straps—such as a gladiator style—with a loose, short frock to create a 1970s bohemian aesthetic. But when the weather finally turns cool, Leslie suggests swapping short dresses out for pieces like a knit maxi dress or leather jacket to transition the artisanal footwear right into fall.